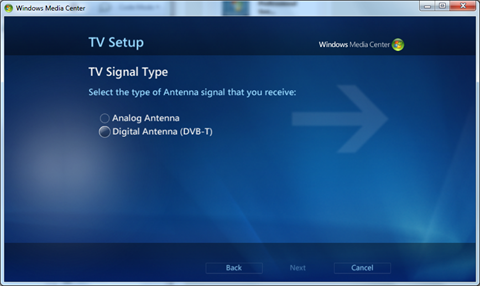 Getting digital cable TV (DVB-C) to work in Windows 7 Media Center (MCE) can be really difficult and there isn’t much information available on what to do. Watching encrypted digital cable TV isn’t even supported by Microsoft so how do we solve this? Well, there are a couple of products that can help and one of them is the Anysee E30C digital cable TV card. It has a pretty cool driver that pretends to be a DVB-T card (which MCE supports) and it properly handles encrypted pay TV channels (provided that you have a valid smart card and subscription of course). This should probably be obvious, but the first thing you need to do is to install the latest drivers for the Anysee card. The drivers on the CD you got when you bought the card are probably outdated so make sure you get them from the Anysee website. 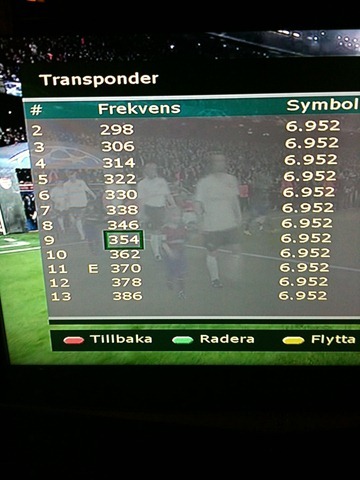 This revealed the channel frequencies and that symbol rate 6952 is used. 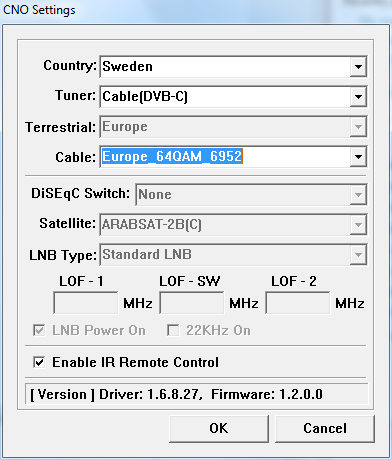 Some searching on the internet also revealed that QAM 64 is used (which I think is the most common modulation in Sweden). After we have this information along with the frequencies for the channels we are ready to start configuring. The Anysee CNO application is responsible for simulating the DVB-T card that MCE uses for watching TV. By default it resides in the C:\Program Files\anysee\Driver directory (or C:\Program Files (x86)\anysee\Driver if you are running 64-bit Windows). Now you need to restart CNO and change the settings. 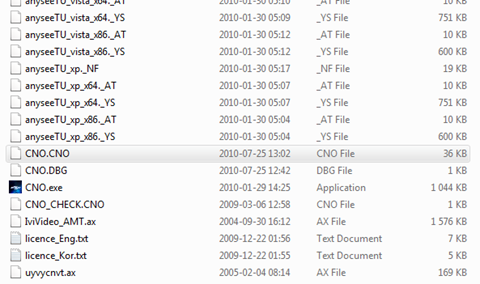 You can exit CNO by right clicking its icon in the tray bar and selecting Exit. 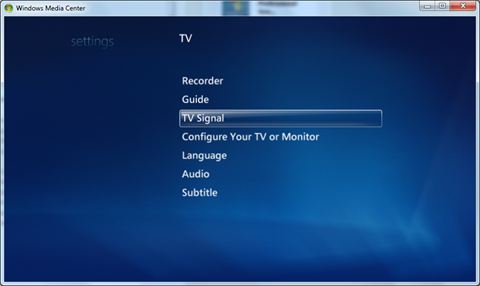 In the next screen select Setup TV Signal and then select your region and enter your postal code. I’ve experimented a bit with these settings but as far as I know it doesn’t matter if you enter 00000 for postal code or the correct one. I suspect it may have something to do with the guide listings but I’m not sure. Things seems to work no matter what I choose here but try entering correct data to make sure you don’t screw up things. 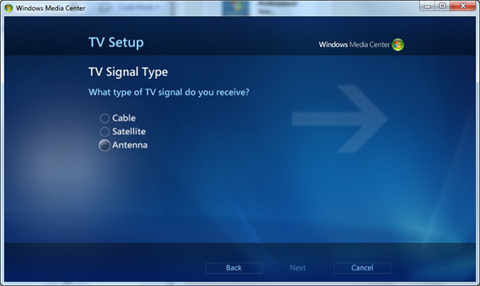 When it asks if you want to set up any other TV-signals select “No” and then proceed to scan the channels. This should take a while but when it is ready you should be able to watch Live TV in MCE using your Anysee card!